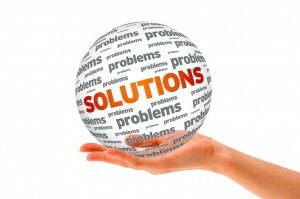 How can outsourcing the payroll process help you? 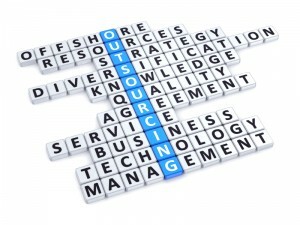 There are tangible benefits in outsourcing for the SME and I have talked about it here and here. Small businesses face constant challenges and are often looking for ways to streamline some of their processes and enable them to focus on their core business skills. Payroll is of paramount importance to the smooth running of any sized business because it is concerned directly with a companies primary asset – its personnel. The mechanics of running a payroll in-house has become more complex over time with frequent legislative and changes in taxation. Payroll outsourcing has become a cost effective way of overcoming these difficulties coupled with the de-centralisation of finance departments into task specific i.e. AR, AP and Credit Control makes Payroll ideal for outsourcing. Outsourcing your payroll function is one sure way a company will start to see savings by saving time, money and resources. 1. Outsourcing once the sole preserve of the corporate is now just as cost effective for the SME’s who are increasingly benefiting from outsourcing their payroll and payslip printing. Processing your payroll can burn a hole in your proverbial coat pocket particularly if your company has fewer than say 30 employees. Work out the hours your employees are devoting to payroll activities and then work out the costs for printing and distribution of the payslips? 2. An SME payroll can be a time consuming process particularly where you may have an employee who spends a certain amount of time a month on this very specific task and upon completion of the task returns to their preferred job or skill set. 3. In-house payroll can only be as reliable as the people doing the work. Utilising a payroll service will result in increased output, speed and quality will be consistently accurate. 4. Speed – as payroll service providers are specialists with technical resources and industry knowledge; payroll bureau can impart to you their advice and knowledge without you having to spend £’s. With access to vast resources they can also handle any changes in your personnel and accommodate seasonal fluctuations without you having to worry about upgrading or changing systems. 5. A good payroll service provider will have the inside edge on up and coming legislative and tax changes likely to have an impact on your business and can implement whatever changes are required with minimum fuss to you. 6. Outsourcing mitigates the responsibility to a third party so any delays, paperwork inaccuracies or mishandling its down to the payroll service provider to ensure the issue is resolved. 7. Outsourcing ensures that as your company grows so do the payroll service company tailoring the service to fit with your company growth. 8. Lastly and often overlooked is SECURITY how do you ensure that there is no payroll abuse i.e. time and rate? 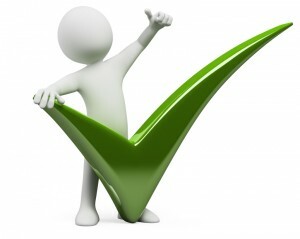 Use a checklist to make sure your payroll service company delivers what you want! But most importantly ensure the payroll service company provide you with up to date reporting, hold regular review meetings with you and deliver the service they commit to from the outset. This can only happen if you are absolutely clear about which components of the payroll you intend to outsource and have committed the process to paper. in a detailed brief. Both you, the company and the payroll service company are clear on what is going to happen, by when and by whom. It also provides a valuable document by which both parties can refer to in the event of any discrepancy or disagreement. For more information on Payroll outsourcing please fill in your details here and one of our advisors will call you. Previous PostWhat is data cleansing and why is it important to your company?Next PostGreat teamwork. What makes a good team great?